Speed and flexibility are the keys to efficiency, smooth workflow, and productivity. Undoubtedly, this is one of the ways to beating out the competition. The partnership of Microsoft and DocuSign further helps organizations keep business digital, and leverages the power of the cloud to help them focus on business results. It also helps users keep transactions digital and manage eSignatures seamlessly from within Microsoft Office 365. 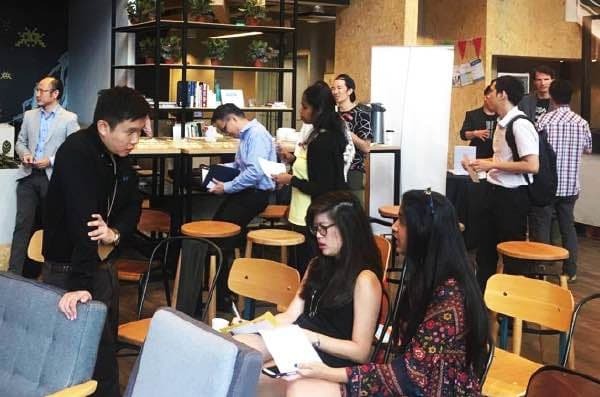 Having these two big names under one roof at our coworking space is truly such a privilege for us here at JustCo, one of the fastest growing co working spaces in Singapore. Hosting this event on a mid-week afternoon is the perfect booster.Think gorgeous view of the Singapore skyline, overlooking the hustle and bustle of the CBD area and aroma of One Shot’s coffee wafted heavily through JustCo with the smooth, rich scent of roasted beans. Attendees started streaming in just slightly before the event started. Some were seen mingling amongst each other while savoring some light refreshments that were served. 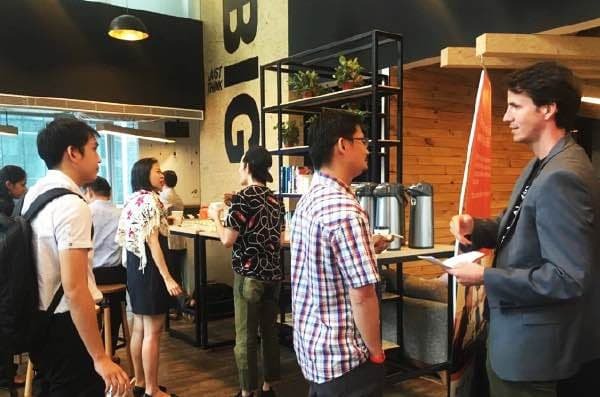 After a brief warming up from Ingram Micro, global broad-based IT distributor with significant Asia Pacific presence, attendees were all ready for the real deal. Shirshanka Bhattacharya, Customer Success Manager of Microsoft, explicated how Microsoft Office 365 is different than traditional Office solutions and how Skype for Business is the best solution for virtual communication. The last hour of the session was all about how DocuSign replaces the lengthy process of printing, faxing, scanning with the power of the signature solution. Wilson Oh, Head of Business Development and Alliance (Asia) had the honor of sharing details on how this increases efficiency and improves workflow. Efficiency is about making the best possible use of resources. By improving efficiency, a business can reduce its costs and improve its competitiveness. Like minded individuals had the opportunity to speak to the two guest speakers personally even after the session as they discussed the benefits of leveraging Cloud to work more efficiently. It was two hours well spent indeed! Thank you, Microsoft and DocuSign. We look forward to more sessions such as these sessions. We are pretty sure that individuals and companies who are part of our co working space will benefit much from this.